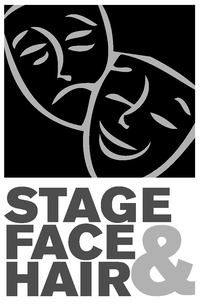 Stage Face & Hair offers a range of services that includes character design and development, stage makeup and prosthetic application, wig styling and rentals, educational workshops, and one-on-one consultations that help actors and crew members present complete character looks. Our whole-show designs are unified in concept to bring harmony to the entire visual palette of a given production. We don’t simply create a character; we work together with directors, costumers, lighting designers, and actors to create onstage magic. Plainly stated, we love what we do... everything about it... from working with a director and creative team to serving and styling the actors in a show, we have fun with our art. To that end, we believe we can help actors begin to communicate the characters they portray before they ever speak their first line in a show.